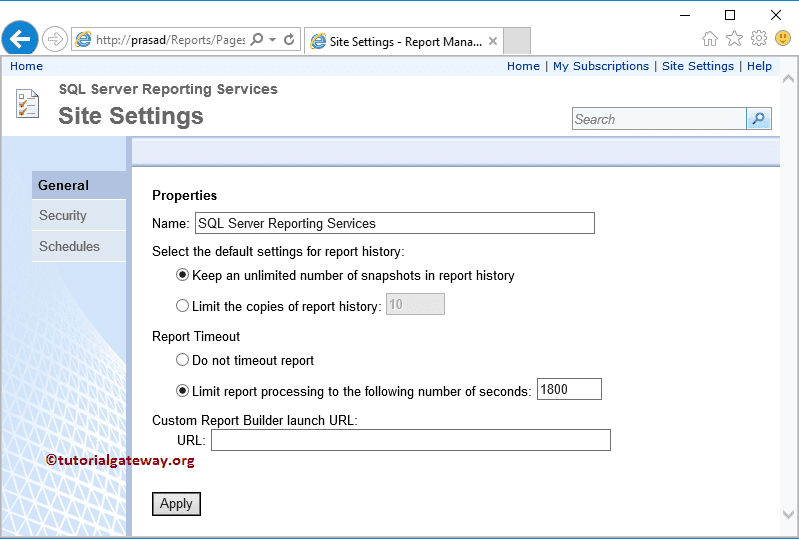 Generally, when you open the SQL Server Reporting Services website, it will display the default Title as we shown below. But, Have you wonder how to change SSRS Report Manager Title to a more meaningful one, something like Company Name?. 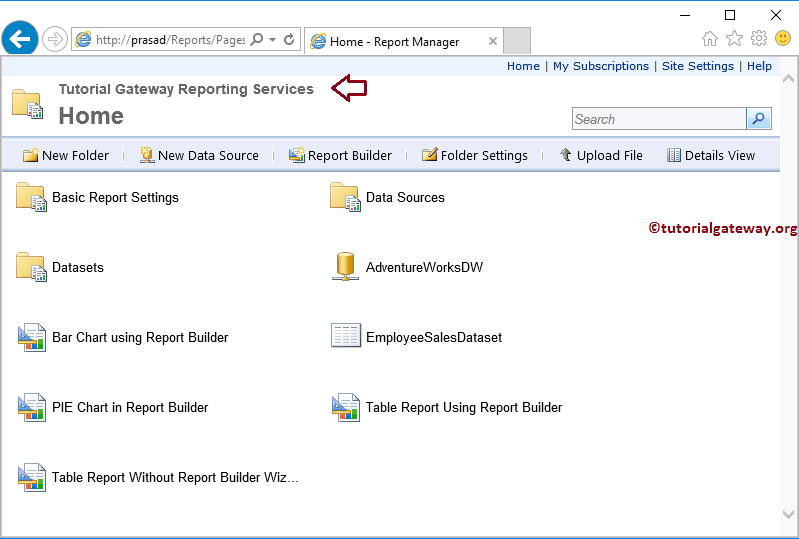 In this article, we will show you the steps involved to change SSRS Report Manager Title with an example. 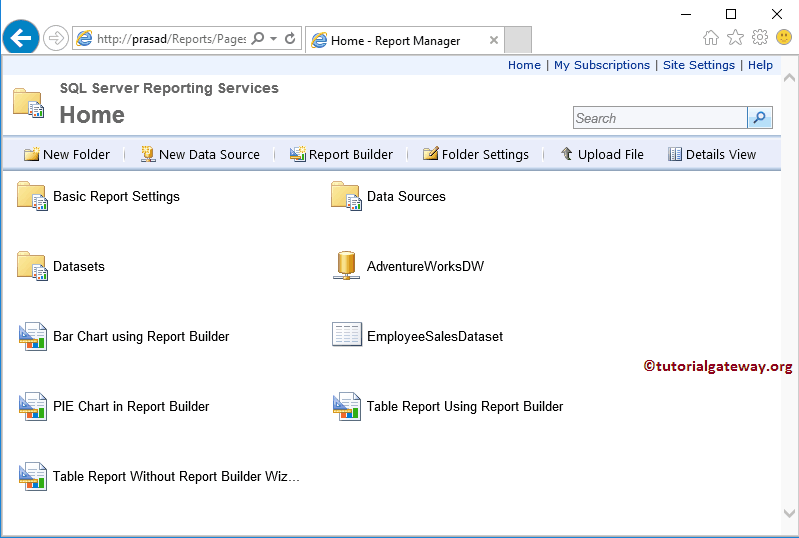 In order to change the SSRS Report Manager Title, Please click on the Site Settings hyperlink at the top right corner. 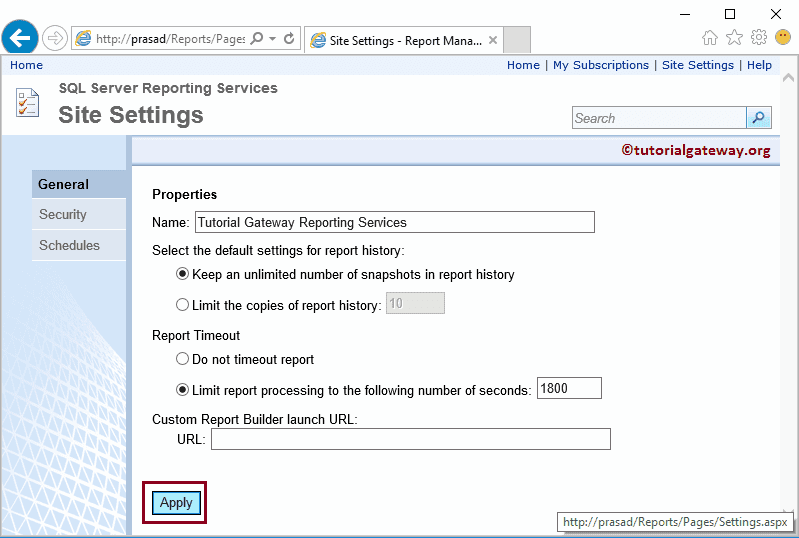 Let me change the title to Tutorial Gateway Reporting Services. Now you can see the new title for our reporting Services.